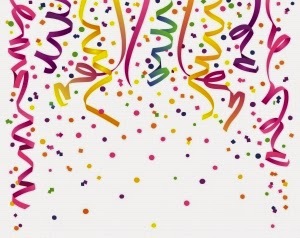 Christian Writer/Reader Connection: Celebrating 1,000 Posts! 1) Would I be able to produce quality content week after week, year after year? 2) Would writers and readers come to my blog? 3) How would I handle the inevitable techy challenges? 1) I met a lot of great writers in the blogosphere, as well as several close friends. 2) The social media experience prepared me for other sites like Facebook, Goodreads, Twitter, Google+, Pinterest, and LinkedIn. 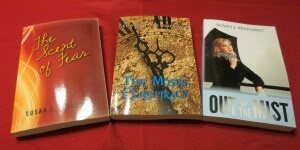 3) I've been able to promote the books of other authors and launch my own. Since starting this journey, both the social media and publishing landscapes have seen dramatic changes. The growing popularity of Facebook and other venues has sometimes overshadowed the blogging world. Yet, we're still here, faithfully documenting our highs and lows. Personally, I'd like to see a resurgence of blogging. The many writing posts provided much information on both the craft and the business, while book reviews alerted me to new authors and their debut novels. Writers: Do you think blogging is still a viable way to connect with readers? Please share. Readers: What do you look for in a blog? What changes/improvements would you like to see here at Christian Writer/Reader Connection? Susan, I love blogging and reading some blogs. I think time is short and there are now so many blogs out there that the market is glutted. I now only read a select few. Yours is one of them! Susan, I read our blog, but there are now so many blogs out there, I don't have time to read too many. Actually, we'd talked about this at my local writers meeting a couple of months ago. Surprisingly, the 3 ladies disagreed with me, they see blogs with lots of activity. I guess it just depends on your experience. Susan: I love the blogs. I recently signed up to follow two more. I don't always get the comments but I noticed I get some high page views numbers. I notice some of the blogs I read are excellent but they don't get any or do get very few comments. I don't always care for social media. Some people post some ridiculous stuff on them.